Cornwall Canoes is a kayak fishing specialist store and part of the Canoe Shops Group with stores throughout the UK. Check out their website for all your kayaking needs. Stocked up with kayaks, paddles, clothing, electronics, accessories and more, from top brands in the kayak fishing world. A charter fishing boat operating out of Penzance, skippered by my brother Kieren. Offering fishing trips for full charter or individual bookings. popular trips include Shark Fishing, Wreck Fishing, Species Fishing, Deep Sea Fishing and more! Come and experience the fantastic fishing West Cornwall has to offer! Anglers Afloat - a great website covering all aspects of kayak fishing including hints, tips and reviews. Join the forum and chat with like-minded kayak fishing addicts! Cornish Shore and Kayak Fishermen - A blog run by a fellow cornish kayak fisherman. Full of useful videos and tutorials on various aspects of kayak fishing. Check it out! Saltwater Kayak Fisherman - A website/blog by Rob Appleby-Goudberg on all things kayak fishing. Many useful articles on kayak rigging and modifying along with catch reports and reviews. A great resource for any kayak fisherman! Magic Seaweed is a fantastic wind and swell forecasting website. Primarily aimed at surfers but it is perfect for checking the sea conditions for an upcoming kayaking session! XC Weather provides accurate weather and wind forecasts. 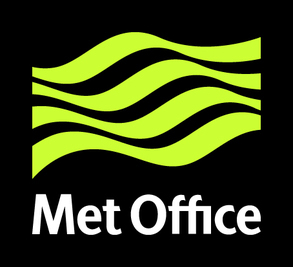 I primarily use this website to look at the wind forecast and combine this with the swell forecast from MSW and weather forecasts from BBC Weather and the MET Office. BBC weather is brilliant for weather and air temperature forecasts. The satelittle style interactive maps are perfect for spotting weather windows but be sure to cross reference with MSW for swell conditions and XC Weather for wind conditions. MET Office forecast gives a good general overview of upcoming weather. A good website for validating the weather forecasts from BBC and MSW. An inshore shipping forecast can also be found in the marine section - good for general sea conditions in the area. The National Oceanography Centre - National Tidal and Sea Level facility. A great website for finding Tidal time and height predictions for all major ports in the UK.